One in four HR managers receive about 50 CVs for every job listing. One in 10 receives 100 per listing. Seventy-seven percent of all managers are interested in relevant experience, 48 percent in specific accomplishments and 41 percent in customisation. In other words, if you want to get a job, your CV needs to stand out from the crowd and meet employers’ standards. If you’re struggling to write a great CV, though, don’t worry – we’ve got you covered! Check out these top 30 CV tips to make a lasting impression and bag the job! If you want to create the perfect CV, you might want to consider writing several drafts first. Although this sounds very time-consuming, it’s also a necessary first step. Creating a plan will help you organise your thoughts and identify what to include and what to leave out. It also helps you get to know your CV inside out – which is ideal during interviews when the hiring manager tortures you with questions like ‘Walk me through your CV’ as you’ll be able to show them how prepared you are. Every successful CV includes a career profile or summary section highlighting your expertise and years of experience. A career summary is a short paragraph positioned at the top of your CV and, essentially, provides employers with the snapshot information they need, and it’s also a great way to describe your current situation and prove your value to their company. A powerful career summary should refer to your professional background: years worked in the industry, your job-specific skills and your career objective. Researching a potential employer can help you create a targeted CV. Once you’ve made a list of all the companies you’re interested in working for, make it your mission to learn everything you can about them – from company culture to their vision and goals. This will allow you to determine whether you’re a fit for each other, as well as better understand the role and the marketplace in which the company operates. Your electronic CV should have a good file name. Naming the file something like ‘CV.doc’ won’t help you stand out; it keeps you anonymous. Instead, you should try to identify yourself in the name somehow, for example: ‘YourNameCV.doc’. Meanwhile, remember to use the most appropriate file format. This is usually specified in the job posting but if it isn’t, then a Word doc is your best bet. There is no shame in asking others for help when writing your CV. In fact, in some cases, it’s necessary and it can even be beneficial. In fact, getting a trusted friend’s or a career advisor’s feedback encourages more creative solutions and approaches. It also helps you spot any mistakes you might have missed. Saying that you have ‘excellent communication skills’ means nothing. It’s a pretty standard ability and succeeds in impressing no one. Unless it’s followed by a convincing example on how you meet these skills, your CV will fail to catch the reader’s attention. Remember, employers aren’t interested in hearing about what you did but, rather, how you did it. 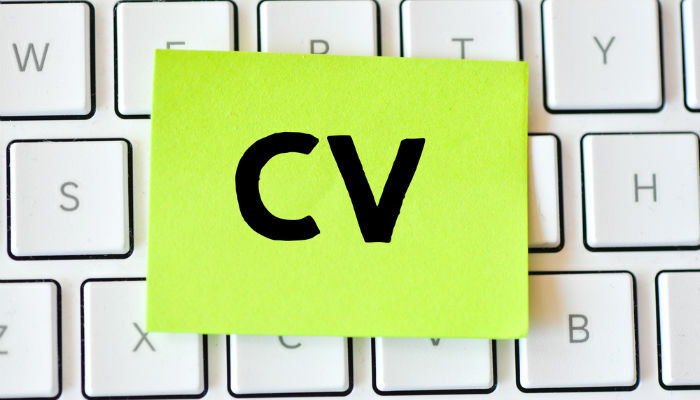 Your CV is a marketing tool which should highlight your unique selling points, strengths and talents! However, don’t simply refer to a list of job duties. Instead, prefer to talk about the contribution you make to the success of the company you worked for and include any relevant information to back up your claims. Stay away from clichés and textbook content, and make your CV stand out for the right reasons! Whether you simply add a few links to the document or you create an online version of your CV from scratch, turning your CV into a website will definitely impress employers. You could do this through LinkedIn, for example, which gives you more space to show off all the skills and qualifications you weren’t able to fit on your CV. Considering that mobile recruiting has become a big thing nowadays, you should expect that employers will check your CV on their mobile phones more than on their personal computers or laptops. This means that your CV must be mobile-optimised. Most mobile-friendly websites are one column and work just fine, so make your CV as simple as possible and don’t forget to make good use of bullet points! One way of promoting yourself is to focus on the benefits of you joining the company. Mention your most notable work-related achievements at the beginning of the CV. You can do so in your career summary or, preferably, in the work history section. When listing your achievements, provide evidence, figures and any other statistics that can support your statements. Show how your achievements can benefit the company you are applying to. Remember, as a jobseeker, you should express the value you can bring to the employer and how you’re able to help them solve their problems. Volunteer experience is valuable when you don’t have much work experience to show on your CV. This can be any project that you voluntarily chose to participate in or, better yet, lead. You can even talk about volunteering in your work history section, mentioning any freelance work and volunteering gigs you’ve undertaken. Talking about your professional skills is a great way to show employers that’re capable of doing the job. Some of the best skills to mention include problem-solving, leadership, oral/written communication, team-building, management and organisational skills. If you have many to list, break them down into different skillsets, eg: interpersonal, language, technical, professional skills, etc. There’s nothing wrong with using a template. In fact, they can be great for a little inspiration when creating a CV that’s both easy to read and also visually appealing. To stand out from the crowd, however, you’ll need to make it your own. You can do this by choosing the CV structure you want to follow, arranging the order of the information the way you feel is the most appropriate and making it as unique as possible. Your CV shouldn’t be packed with details. It should be brief and to-the-point. A great way to achieve this is by following the KISS principle, also known as ‘Keep it simple, stupid’. In other words, don’t dwell on examples. Simply choose one or two really good ones to refer to. This also applies to your choice of font, layout, design, content and basically every element of your CV. Think about what you are trying to achieve with your CV and what you want it to say to recruiters. This should help you choose the CV format that best presents your qualifications in the best light possible (eg: chronological, skills-based, etc). Make sure you use a combination of bullet points and paragraphs to provide structure. If you want to be more creative, go for it, but don’t go overboard. Check out our guides on 3D CVs, infographic CVs and unique CV designs for some inspiration. When you’ve finished writing your CV, turn it upside-down and hold it up from a certain distance. This should help you examine its appearance without paying much attention to the content, as well as check whether there’s an appropriate use of ‘white space’. Remember, a beautifully formatted CV never fails to get the attention of recruiters. When detailing your work history, it’s important to pay particular attention to how you describe duties and responsibilities. Think about the actual words you’re using and prefer to include strong adjectives and verbs when describing a situation to make a bigger impact. On that note, try to avoid using common and outdated words like ‘managed’, ‘tried’, ‘done’, ‘have’ and ‘possess’. Writing a failure CV can help you create an awesome one. Tina Seelig, the woman behind the idea, says that doing so can help you identify your mistakes and learn from them. This is an effective strategy because it helps you think of the things you have got better at along the way. As such, it encourages you to think about what you’re good at and what kind of accomplishments you need to include. Check and double-check your professional email address and phone number to ensure they’re all correct. Your contact details should be positioned at the top of your CV, making it easy for the reader to contact you. You could even include links to your website, blog and LinkedIn profile here if you think it complements your application. The language you use doesn’t have to be very strict and formal. And you definitely shouldn’t use words you don’t understand. Stay true to yourself and to what you already know – otherwise, you might end up confusing employers. The same goes for abbreviations and other specialised terms and keywords that may complicate things – make sure to avoid these! Numbers, stats and visual representations give a lot more information to employers than any other element on your CV. Vague statements not only fail to give the right message to employers but they’re also too generic. What you can do is quantify your results and show how you helped the company achieve its goals, effectively proving your value to potential employers. Update your CV whenever needed – even when you’re not looking for a job. This will save you time when you decide to begin your job hunt. Change or edit sections that you think need updating, while demonstrating your ability to adapt to new technologies, social media trends and new industry concepts. Also, highlight those qualities and skills that make you a forward-thinker and a candidate who constantly looks for new ways to evolve. If you have a blog (or vlog – videos seem to be more interesting nowadays) or you’re currently working on something that’s relevant to your career, make sure to link to it on your CV. This will encourage employers to open the link and learn more about you as a candidate. To avoid making your CV look like a badly optimised blog post, thought, you should put these links in strategic positions, preferably at the top of the page. Including your hobbies and interests is a nice way to show your personality, while it’s also useful when you don’t have much experience. However, make sure you only include interests that are relevant to your career path and to the job you’re applying to. Try to avoid listing boring and clichéd hobbies like ‘watching movies’, ‘travelling’ and ‘playing sports’ and instead make them as unique and interesting as possible. For example, you could say that you like to ‘cook exotic dishes’, ‘collect Star Wars action figures’ or ‘read business-related articles’. Tailoring the content is the number one success rule for CVs! If you want to make it relevant to the job, read the job description carefully and match your skills and experience to the role. Use useful keywords, focus on your skills and experience, and find out what each company needs. Create multiple copies of your CV and come up with a unique cover letter that mentions each individual company to go with it. Employers can smell lies from a mile away. Avoid telling them anything but the truth about your skills, qualifications and experience, as well as exaggerating. Even if lying gets you an interview or a job offer, the truth will eventually come out somehow, and it will only make you look bad. Claiming to be something you’re not can seriously ruin your professional reputation. Employers expect you to be able to provide at least two professional references – one academic and another one from a previous or current job. The best way to do this is to prepare a separate document where you list all of your references and their contact information. However, you should only provide employers with this list if and when they ask you for it. Meanwhile, writing ‘References available upon request’ isn’t necessary and can waste valuable space on your CV. If you choose to bold or italicise your title, or include months or just years in your dates of employment, make sure you do so throughout your CV. Also, it’s a good idea to only pick one font style (Arial, Calibri, Century Old Style, Garamond, Georgia or Times New Roman, for example), size (10-12 points) and colour. Other things to look out for to ensure consistency include tone, voice and tense. Writing in the third person and in the past tense is the most widely used. No matter how experienced you are or how well-structured your CV is, a spelling mistake like ‘atension to detail’ will reduce your chances of landing a job interview dramatically. Checking your CV for mistakes and grammar or typing errors is essential, especially when the employer asks for a ‘high standard of written English’ or a qualification in English. In other words: check, check and then check again. It’s a good idea to leave out any unfinished qualifications from your CV – for example, a degree that you started but dropped out of halfway through the year. It just doesn’t look good. You never completed the degree, anyway, so unless you finished it and got a certificate saying so, then including it will only end up confusing employers. A long work history may cost you the job because it can lead to employers losing interest in you. While it’s great to have had a number of jobs, you don’t have to include every single one you’ve ever had unless they are directly related to the position. The same applies to your education section. If you’re a new graduate with little work-related experience, you should detail your degree and modules with related achievements or the awards you received. Your CV won’t make it past the applicant tracking system if it’s not tailored to the role you’re applying to, so make sure you’re as specific as possible in your CV and that you use keywords and industry-standard language to make it relevant. ATSs are designed to look for specific keywords mentioned in the job posting, so using non-industry language or creative synonyms for common terms will get in the way of your CV reaching the desk of the hiring manager. A career objective is a contested item; some recruiters love it and some believe it’s out of date. If you want to use one, you should do so with care. It should be short, sweet and to-the-point, and should not exceed two lines. Putting a hook in there to engage employers as soon as they start reading your CV is also a good idea. If there are employment gaps on your CV, employers won’t like it. Prepare to explain long breaks between jobs, whether it was due to looking after a sick relative or starting a family, for example. Knowing that you’ve been keeping yourself busy, despite an unlucky job search, will make employers regard you as an enthusiastic and hardworking individual. Also, if you’ve had a lot of jobs over a short period of time, make sure to provide a reason for leaving next to each position (eg: ‘Relocated to new city’, ‘Company closed’, etc). Unless you’re applying for an acting, modelling or dancing job, you don’t need to include a photograph on your CV. It opens you up to all kinds of discrimination and it wastes valuable space that could be better utilised by telling employers all the reasons why they should hire you. Avoid including personal information like your age, date of birth, gender, nationality or anything else that can influence the employer’s decision in prejudiced way, as well as your marital status, family information, bank account details, national insurance number, social security number or home address. You should also avoid using personal pronouns like ‘I’, ‘me’ and ‘my’ – they merely make you sound like a narcissist and overconfident.